Rather than through bulk bag handling using forklift trucks, materials are now transferred via a pneumatic conveying system, from the shredder directly into the mixing silo. From the mixing silo the plastic flakes are conveyed throughout a network of 150 mm diameter duct pipes into eight storage silos. 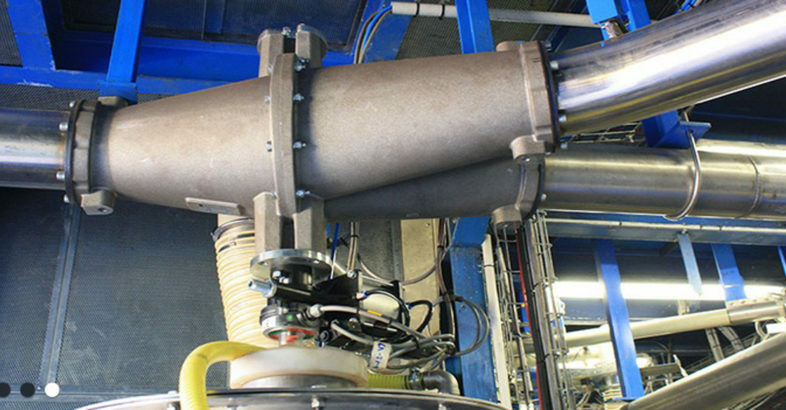 To divert the material inside the duct network, PLASTIROL chose pneumatically operated VAB-type Diverter Valves by TOREX®. 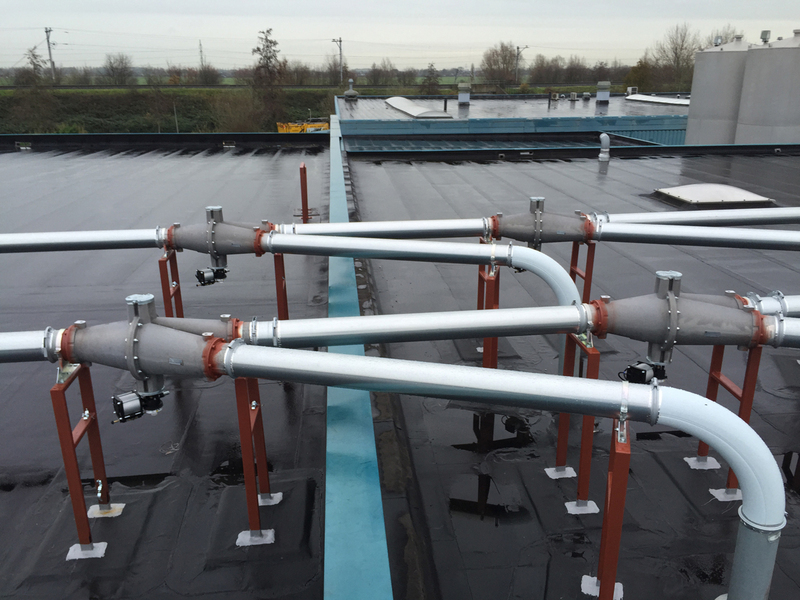 Due to rather awkward accessibility inside the building, the customer preferred an outdoor installation of the duct network on the roof of the building. Thanks to the VAB Diverter Valves, silo filling operation has become fully automatic. For PLASTIROL this means reduced costs for storage, handling and labour. Dust-tight butterfly and slide gate valves, diverter valves, dome valves, ball segment valves, safety pressure relief valves for silos or bins, pipe elbows for pneumatic conveying systems, volumetric micro-batch screw feeders. Telescopic loading spouts or bellows, drop-through and blow-through rotary valves, pinch valves, diverter valves, impact flow meters for powders or granules, level indicators and probes, gain-in-weight or loss-in-weight screw and weigh belt feeders.